We will be showing off some of our hardware at the O’Reilly Open Source Convention 2015 (OSCON). The event is happening on July 20–24, 2015 in Portland, Oregon USA. Piotr Esden-Tempski from 1BitSquared together with Rich Burton from Hooperfly will be bringing some of their Paparazzi UAV based creations to show off. If you are attending OSCON find us in the exhibition hall for the hardware showcase and say “Hi”. We would love to meet some fellow Paparazzians. If you can’t find us just drop us a line on Gitter or Twitter. Hope to see you there! As promised, we want to talk about projects we are currently working on. One of them is Lisa/M. 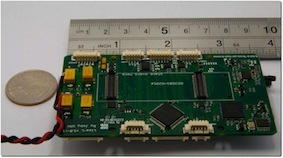 Lisa/M will be the medium sized Autopilot based on the STM32 Cortex-M3 microcontroller. It is part of the Lisa series of Autopilots. It is very small (50mm x 25mm), about the size of an RC receiver. We want it to be as affordable as possible so that more people can join the autonomous aircraft revolution. The final cost still needs to be determined, as we are not done with the development yet. 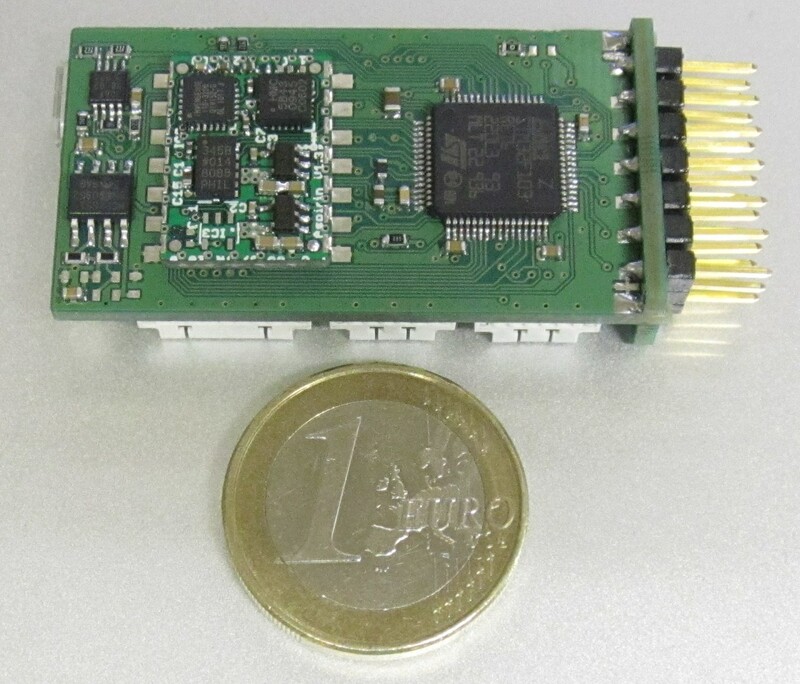 Due to its large capabilities and small size, it can be used as a full Autopilot for fixed wing airplanes, multicopters and helicopters, as well as an IO extender/repeater (in which case the IMU can be left out, cutting the cost significantly). One other interesting feature is that it can host the SMD mounted Aspirin IMU without adding size. 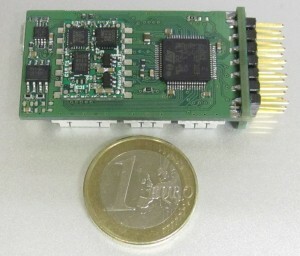 The Aspirin IMU is the next generation small, flat, low part count and cheap IMU that will get an article by itself. The pressure sensor is mounted directly on Lisa/M as this sensor is not provided by Aspirin. Without a GPS unit you have all necessary sensors for full attitude and altitude stabilization in an extremely small package (if you know of a smaller one, let us know!). With an external GPS unit, it is a full fledged Autopilot. But now seriously. We are currently working on the second revision of our prototypes. Based on our experience it takes 3 to 4 revisions of a hardware design to get it right. That means in a few months if everything goes well. Don’t lose faith though. The first design was already good enough to be able to fly an airplane. That means that there are no major mistakes in the design. We will of course keep you up to date on this projects progress in future articles. Cheers … your Paparazzi team.